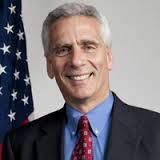 Jared Bernstein has been a Senior Fellow at the Center on Budget and Policy Priorities since May 2011. From 2009 to 2011, Bernstein was the Chief Economist to Vice President Joe Biden and a member of President Obama’s economics team. In addition to hosting On The Economy at jaredbernsteinblog.com, Bernstein has written several books—including The Reconnection Agenda: Reuniting Growth and Prosperity—and is a regular contributor to the Washington Post and The New York Times. He is a commentator on MSNBC and CNBC and tweets often at @econjared.